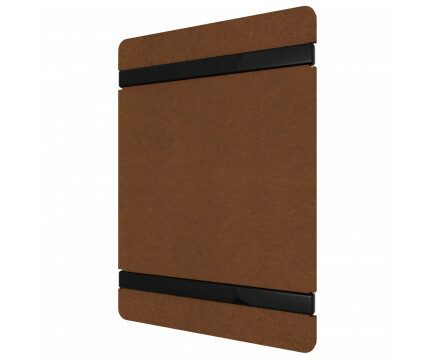 This small menu board is great for holding restaurant menus, sale items, wine lists or other documents. 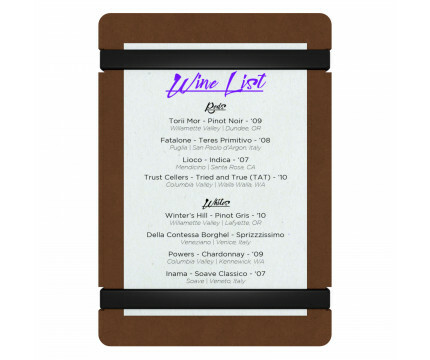 Made from sturdy, lightweight High-Density Fiberboard (HDF), each menu holder can carry 5.75 W x 8.75 L inch size paper flat, and with our secure bands (top and bottom), provide a simple but eloquent way to display or promote your listed menu or items. 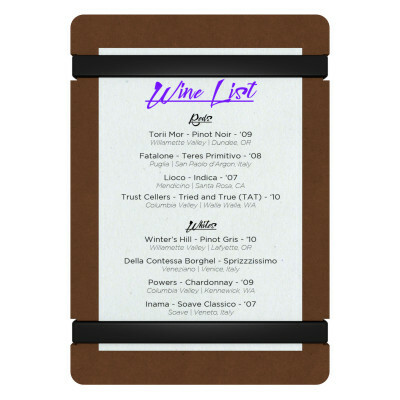 Change your menu at a moment’s notice while maintaining a professional, stylish look. The included bands (clear or black) will also prevent your tables from being scratched. 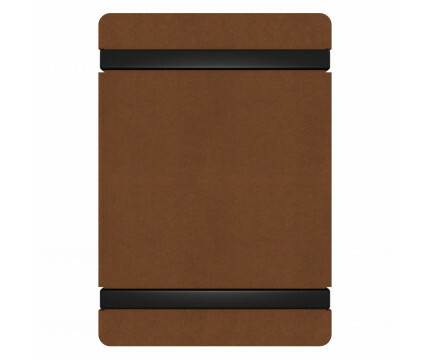 You can even get this clipboard engraved with your company name or logo for a one-of-a-kind product. Please contact us for more information about customization.